Purchasing a used truck is different than purchasing a used car. Most cars are just used for transporting passengers, and are rarely used to tow or haul. Pickup trucks, while often just used as commuter vehicles, are often used by tradesmen and construction companies as work vehicles, and are subject to a much harsher level of use and abuse than a car is. 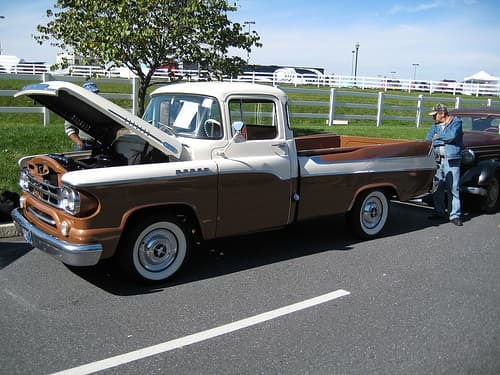 Here are some tips to help you find a quality, well cared for, used pickup truck. If it can be avoided, try to buy a used pickup truck that was not used to tow heavy loads. Most pickup trucks come equipped with trailer hitches, so it can be difficult to determine if the truck was use to tow or not by the mere presence of a hitch. Inspect the trailer hitch for signs of wear. A trailer hitch with excessive wear is likely to have towed heavy loads. Also check to see if the truck has any special towing equipment installed. Most people will not pay for extras like towing packages unless they intend to maximize their use. It is also best to avoid purchasing a used pickup truck that has been used by a construction company to haul heavy loads. The best way to identify a truck that has been used to carry heavy loads is to inspect the bed of the truck. If the bed of a pickup truck shows signs of excessive wear, it is likely that the truck has been used to carry heavy loads, and it is best to avoid purchasing the truck. Whenever you are considering buying a used pickup, you should have the truck inspected by a trusted mechanic. Make sure the mechanic checks part of the truck that can identify excessive or extreme use. Warn shocks and transmission problems can show that the truck was exposed to excessive loads, or just not properly maintained. A mechanic should be able to tell you if the truck was well maintained, and should be able to identify any accident or frame damage. Purchasing a used pickup truck can involve more risks than purchasing a used car. Pickups are often used in commercial applications that can prematurely age the truck. It is best to avoid purchasing a truck that has been subject to hauling or towing heavy loads. By taking a few extra steps when purchasing a used truck, you should be able to avoid purchasing a used pickup that will have major mechanical problems in the future.